Hi loves! 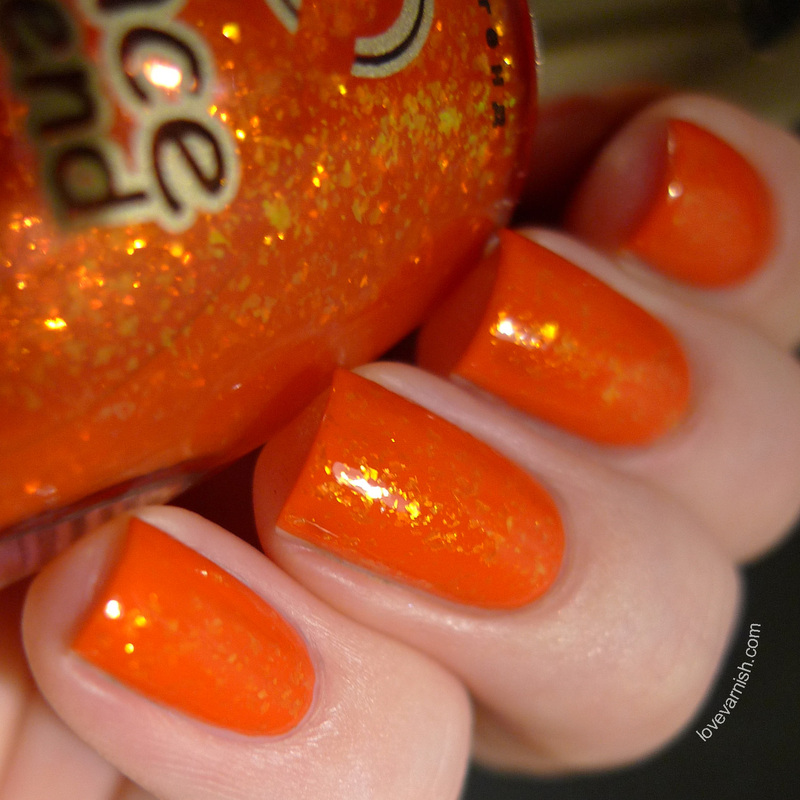 As promised, today the second post about my picks from the Dance Legend Candy Flakes collection. Yesterday I showed you Final Fantasy and Tinsel, today it's time to show Bite Tonight and Sweetest Thing. Dance Legend Candy Flakes are colored jelly bases filled with flakie goodness. There are a total of 6 shades in this collection. I choose to layer them because of the sheer base (with Bite Tonight as the only exception), so keep that in mind when you are interested in getting these! 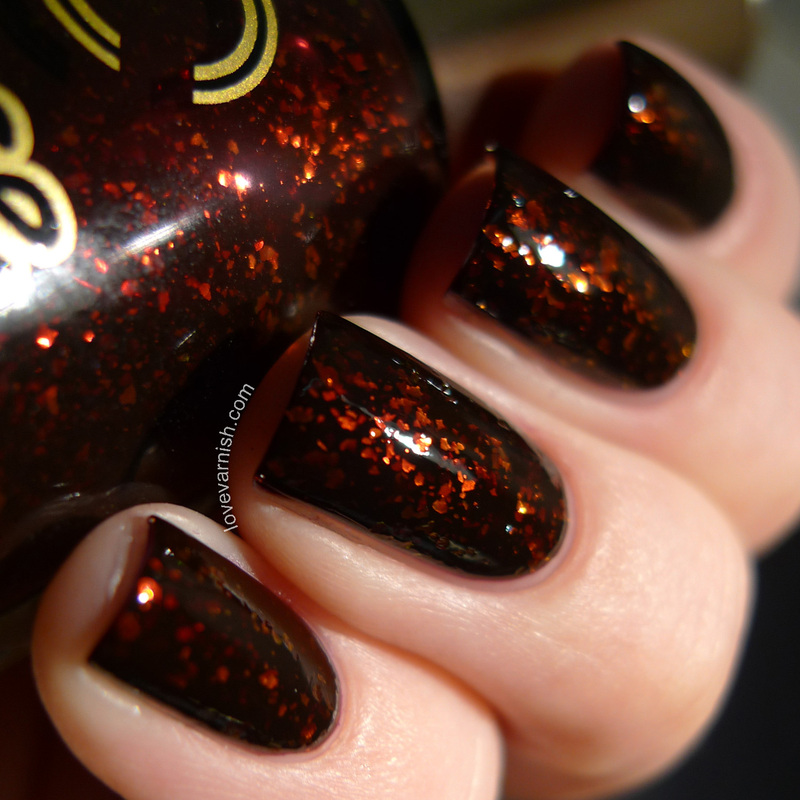 Dance Legend Bite Tonight is a very vampy red base filled with lava like flakies - they shift from a red to orange in the bottle and there are even flashes of green and blue. You can see a swatch of this by itself over here. I layered this over OPI I Sing In Color (1 coat). This is 2 coats of Bite Tonight. There actually wasn't any need to layer this one for opacity, but what I like about using undies, is that it is easier to wrap your tips with a polish that doesn't have flakies in it :-). Application was easy, the base spreads nicely and the flakies behave well. The formula felt a bit thicker on this one, might be the amount of pigment in the base. I used topcoat and mattified after that. Dance Legend Sweetest Thing is a super juicy looking orange filled with golden/greenish flakies. This is such a summer color! You can see a swatch of it by itself here. I layered this over OPI A Roll In The Hague (1 coat). 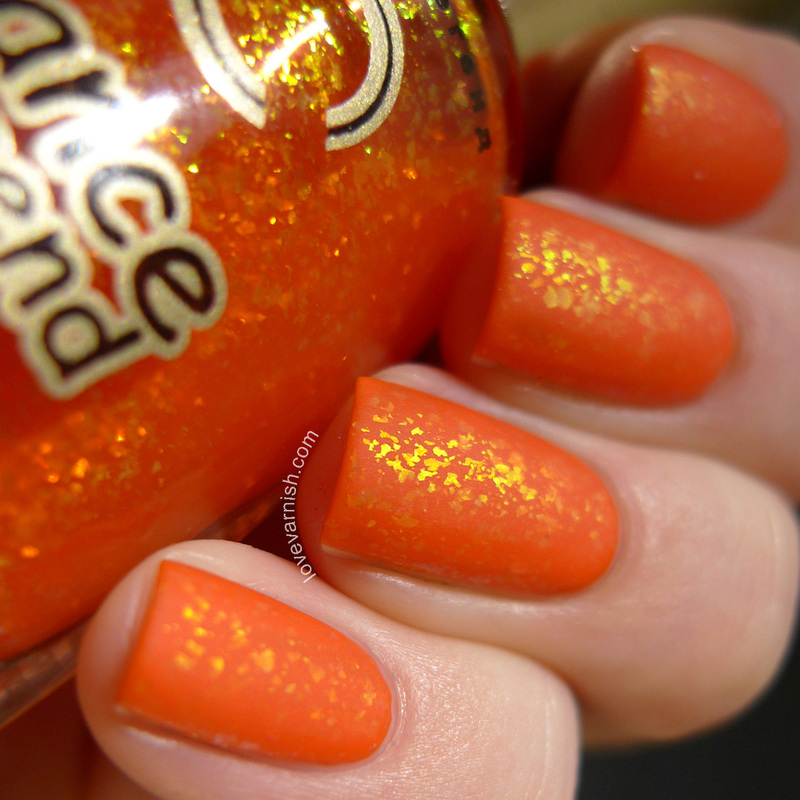 This is 2 coats of Sweetest Thing. This one had the thinnest formula I think - I had a surprise glob on my index finger because there was too much running down the brush stem. So annoying! Luckily I could clean it properly :-). Other than that (after cleaning the brush stem on the neck of the bottle) it applied nicely and easy. I used topcoat and mattified after that. Again, these look DELICIOUS mattified! Do you agree? And looking back at the other 2, which of these is your favorite? I think mine would be Bite Tonight. Share with me in the comments! These are so pretty, Bite Tonight is my favorite though! I think I need to start adding more flakie polishes to my collection, mine's seriously lacking! Wauw, mooie, bijzondere lakjes ! 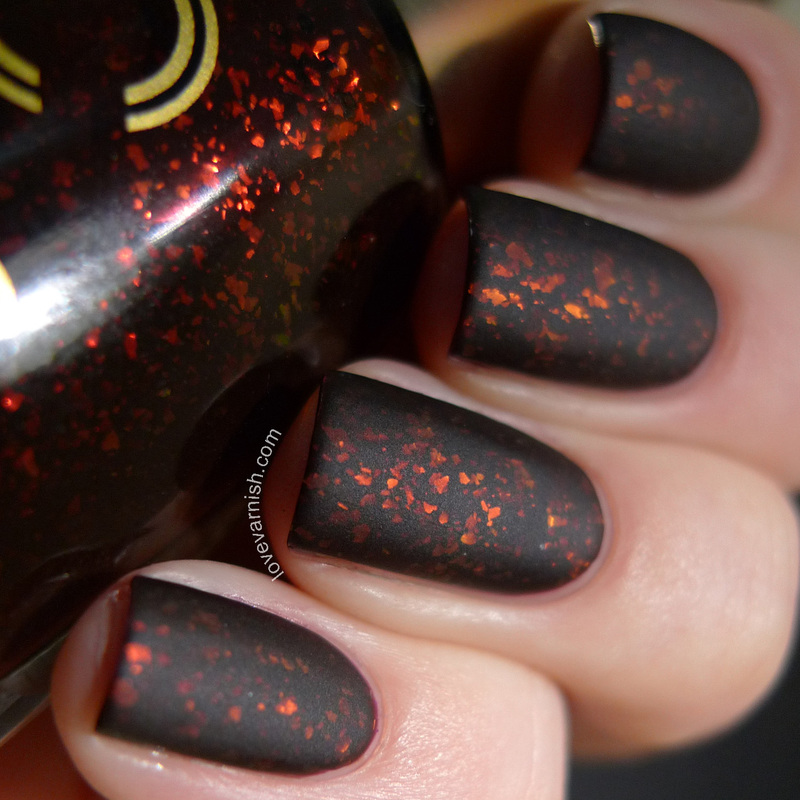 Dance Legend has really become my new favorite nail polish brand- everything they do is so interesting! I'm a sucker for flakies so I will definitely be adding these to my wish list! Haha I wouldn't want to bother you with ugly polish silly girl ;-)! Thanks Marisa! 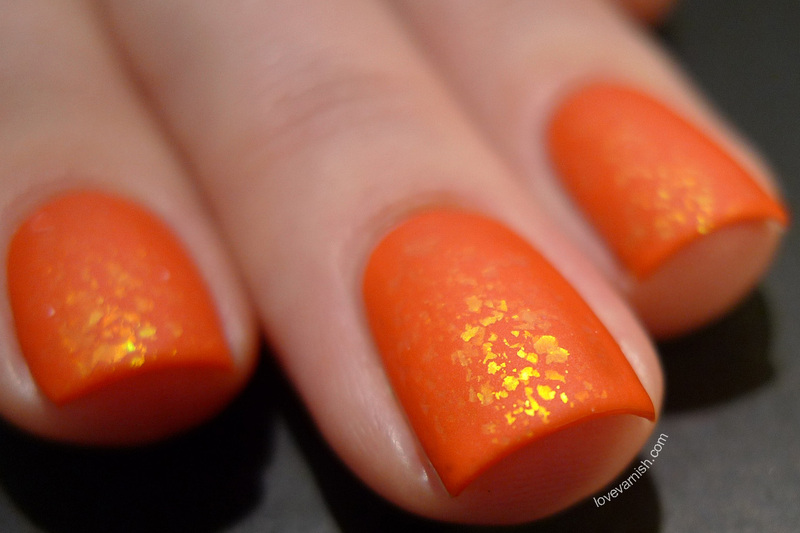 Flakies can be very versatile, they are fun! Dank je wel, prachtig zijn ze he? Yeah they certainly grabbed my attention too! And they aren't even too expensive! :D you can gush all you want <3! It's stunning huh?